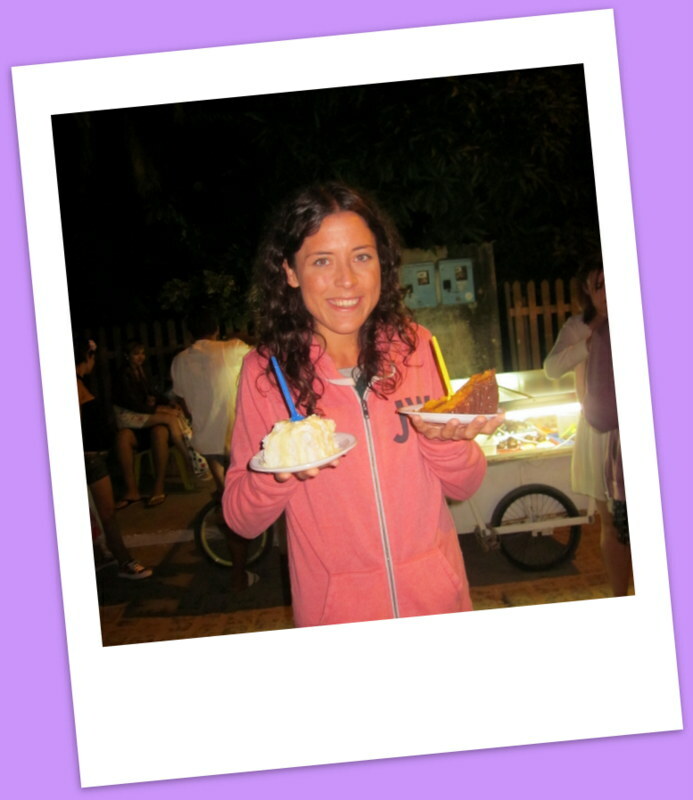 If my recent trip to Brazil has taught me one thing, it’s that Brazilian’s love their cake. After a hectic few days in vibrant Rio de Janerio we headed to Ilha Grande, an island off the coast of Brazil, roughly a three hour drive from Rio. 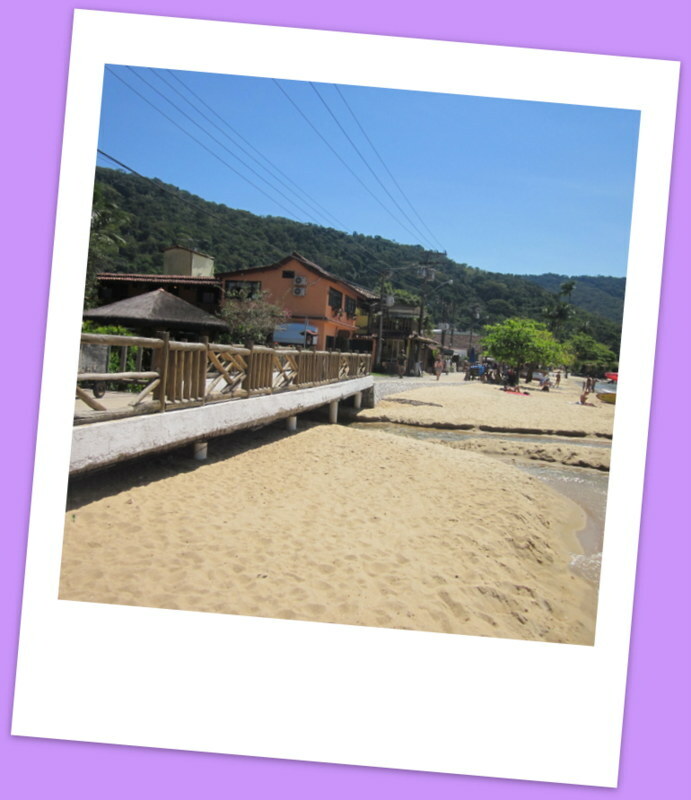 Ilha Grande means ‘Big Island’ although compared with Rio it seemed quite the opposite. There are no cars or paved roads on the island and just one town called Abraão, which although small, is bustling. As we were ‘glam-packing‘ we stayed in wooden cabins amongst jungle greenery. Breakfast was served each morning and included an array of cakes and sweet breads. 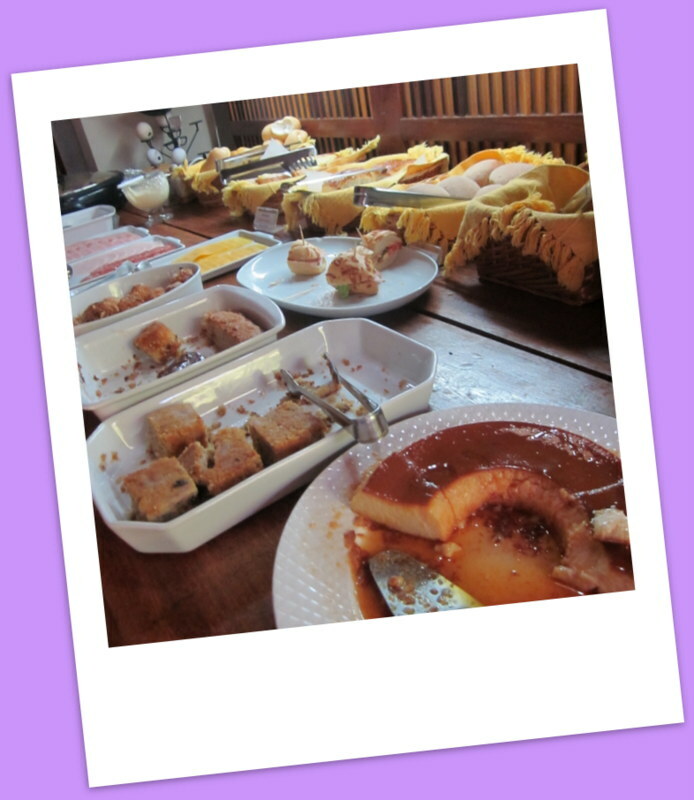 I worked my way through some tasty traditional South American desserts such as Pudim de Leite Condensado (condensed milk pudding), Cuca de Banana (banana bread with a crumble topping) and Quindin (baked coconut custard). We snacked on crisps and ice cream during the day as there wasn’t much else on the many deserted beaches we visited whilst we were there. We certainly made up for it in the evenings by sitting down to a traditional Brazilian dinner and some mind-numbing (quite literally!) Caipirinhas. After dinner we would take a stroll along the beach front and through the town stopping off for further cocktails. At night the town was lively but it didn’t seem crowded and the atmosphere was relaxed with everyone having a good time. What I loved about Ilha Grande was the vast number of street vendors perched on every corner. From jewellery makers to cocktail shakers everything you ever wished for could be found on the street. The majority of stalls sold food including popcorn, halloumi cheese, churros and Beiju ou Tapioca – a Brazilian delicacy made with the starch extracted from cassava which is cooked on a griddle into a pancake with various fillings with the most traditional one made with coconut and cheese. My favourite stall was the cake carts which were found on most of the main streets. These huge white carts contained so many sweet treats, some coming from South America and the rest being variations from others around the world. 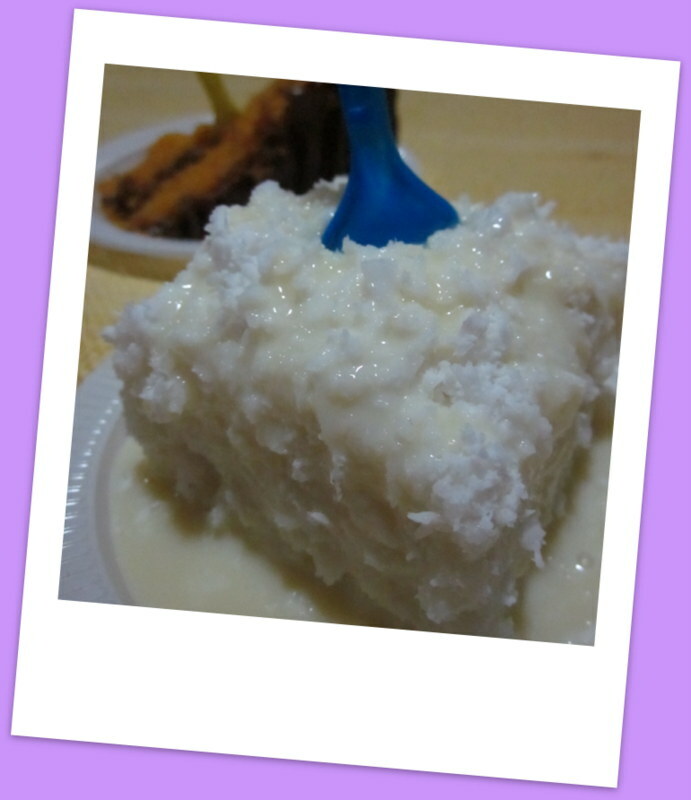 On my first visit I purchased a slice of carrot cake and a portion of Cuscuz de Tapioca – a sweet coconut pudding made from tapioca couscous and served with condensed milk poured over the top. The carrot cake was odd but not unpleasant. 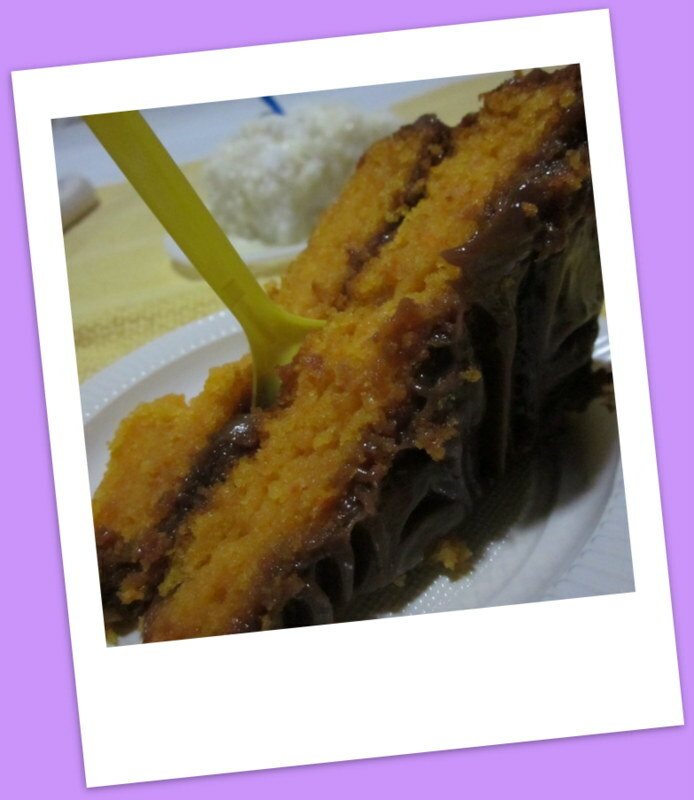 We received a huge portion, standard in Brazil, of rich orange and brown cake. It was certainly very moist, which I didn’t expect as it has been sat in a glass cabinet in sweltering heat for the majority of the evening. The sponge wasn’t like you’d get in England and although shreds of carrot were visible, it wasn’t very carroty or sweet for that matter. The girls and I agreed that this was probably for the best considering the humidity and the fact we had just finished a huge plate of fish with banana and another with passion fruit. The carrot cake was divided and topped with a layer of chocolate which was smooth and tasty but again, not overly sweet. We all very much enjoyed the taste of the cake but came to the conclusion that you just can’t beat a freshly baked bouncy British sponge. Like the carrot cake, the Cuscuz de Tapioca was incredibly dense, so much so, I’m pretty sure my sore biceps the following day were due to carrying these cakes home (not the effects of late night partying!). This cake has a long history and stems from the cuisine native to African slaves in South America, who mixed the starchiness of tapioca with the sweetness of sugar and milk to make couscous – an easy and inexpensive recipe. Like most dishes in Brazil, condensed milk is poured over before serving. I very much enjoyed this cake and the condensed milk tasted wonderful and added much sweetness. I would describe it as a heavy sticky rice/semolina/coconut mixture with coconut flakes on top and I would certainly have another. 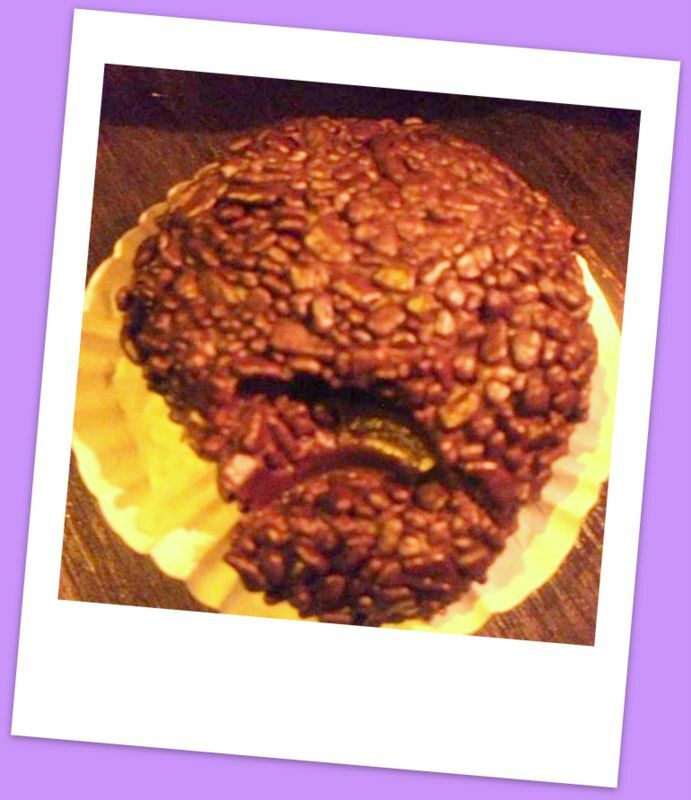 Defeated by both our cakes, we decided to wait until the following evening for another, where I picked up a Chocolate Brigadeiro. I learnt that these little chocolate bonbons are popular at children’s birthday parties and are made by mixing sweetened condensed milk (they love their condensed milk!) butter and coca powder. The mixture is then heated in a pan on the stove to obtain a smooth, sticky texture and rolled into balls which are covered in granulated chocolate or in some cases coconut. We loved these chocolate truffles and they were highly addictive as although dense (another arm breaker) weren’t at all sickly. 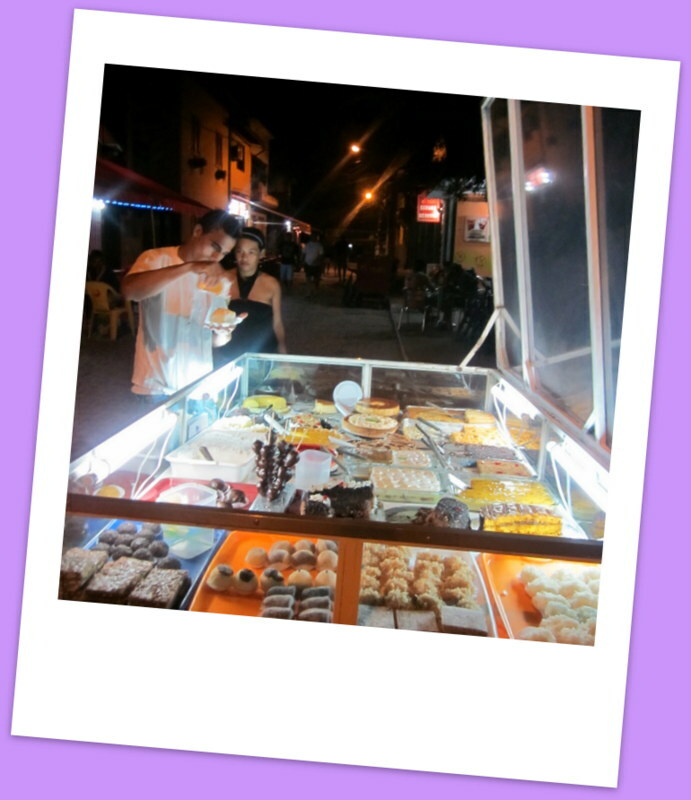 The cake carts on the streets of Ilha Grande certainly opened my eyes to some previously unknown desserts from across the globe. The common theme involved a thick, dense texture while coconut and condensed milk seemed to be the ingredients used the most. For approximately £1 each, these cakes were a real bargain and I wish I could have sampled more than my stomach or time would allow. If you’re planning to visit Brazil, make sure you embrace their cake-loving culture and try something new! Where should you eat in London?